Google is the world’s largest Internet search engine by far, handling over 3 billion queries per day. That kind of heavy usage allows data to collect an awful lot of data about just about everything, from traffic patterns on streets to the catchiest music. Google even has data about the top fashion trends of the year. And for the first time, it’s sharing that information with the world with its Spring 2015 U.S. Fashion Trend report. So, what fashion trends are hot this season, according to data collected from Google searches? First, the search engine has noted a dramatic increase in people searching for ballerina-style tulle skirts, especially in on the West Coast. 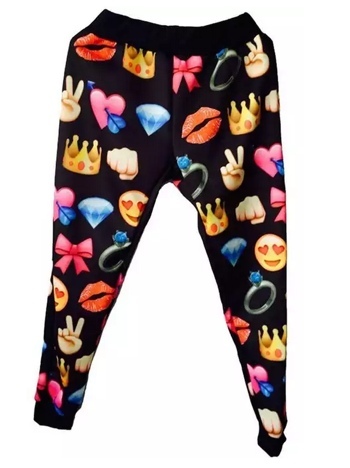 Jogger pants are a big trend in the U.S. South, especially those with a fun emoji print. And if up-and-coming styles are your thing, check out midi skirts – especially those in leather, with sequins, in plaid and in denim. Speaking of denim, jeans are always popular. Most recently, Google has detected huge growth in searches for “boyfriend jeans,” “denim dresses,” “white jeans,” “ripped jeans,” and “biker jeans” especially. Women might want to combine jeans with a flannel shirt – there’s been a huge uptick in searches for the material by females lately. There’s also been a 191% jump in the number of people searching for khaki pants, while interest in chinos has dropped sharply. The full report is absolutely fascinating, and is a must read for anyone who has an eye for fashion, works in the industry or simply needs to buy a new pair of pants. You can read more about the Spring 2015 U.S. Fashion Trend report by visiting the Think with Google blog. To read the full 53-page report, click here (PDF). And for more tech-minded fashion tips, be sure to check out these smartphone apps that help you with what to wear.